Finding peace of mind when you purchase a pre-owned vehicle doesn’t always go hand in hand. At True Auto, your used vehicle is just as important as a newer model; let us assist you with an exclusive list of plans tailored to fit your pre-owned automobile needs. True Supreme: True Supreme is tailored for pre-owned vehicles. This exclusive plan provides extensive component coverage for higher mileage vehicles. A True Supreme coverage plan can cover some of your car’s functional features – including: engine, transmission, drive axles, air-conditioning and much more. True Platinum: True Platinum is our most comprehensive vehicle service program available for both new and used vehicles. Our plan is tailored for all components covered by both Power Train and Power Train Plus. Additional component coverage is available for all air conditioning, suspension, steering, cooling system, brake and electrical systems. 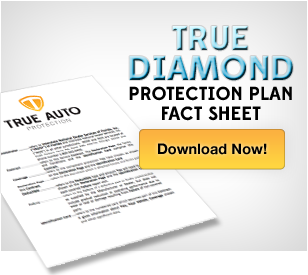 2015 True Auto Vehicle Breakdown Protection. All Rights Reserved.